The main square of Leh, India, a Himalayan town where Amazon started offering doorstep delivery last fall. 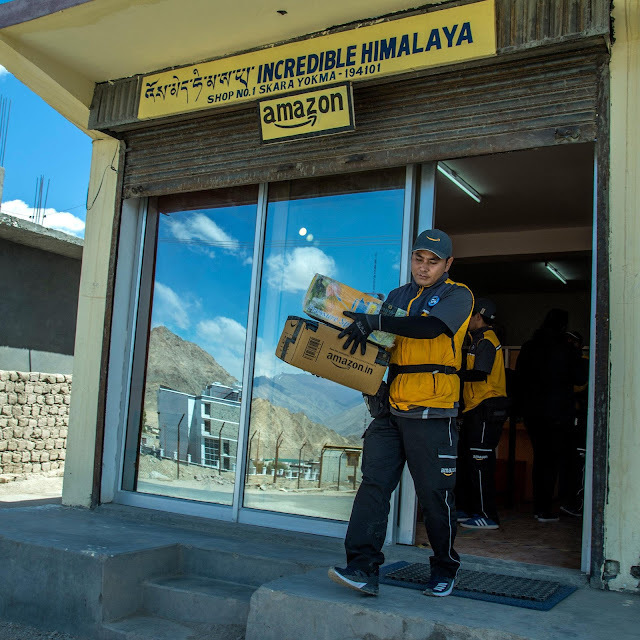 Eshay Rangdol getting ready, in an Amazon office in Leh, to deliver packages that had been flown in from New Delhi. Another courier for Incredible Himalaya, which is Amazon's local delivery partner. 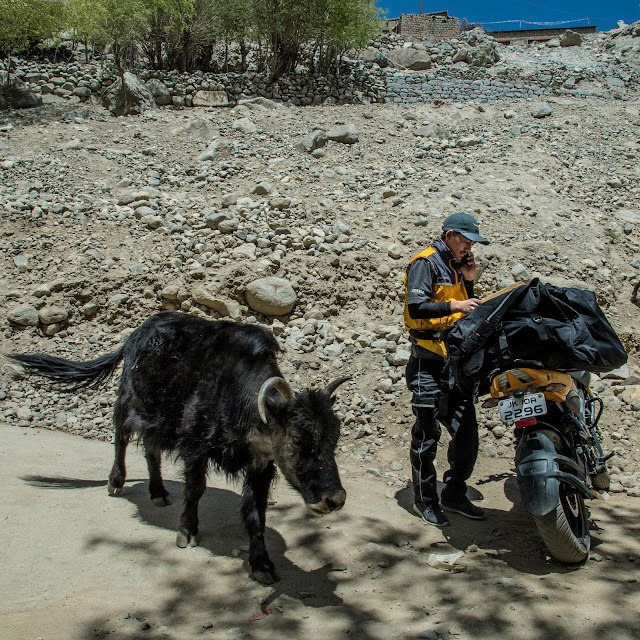 A motorcycle makes it easier for Mr. Rangdol to get around, especially with all the bumps — not to mention the cows — in the roads. 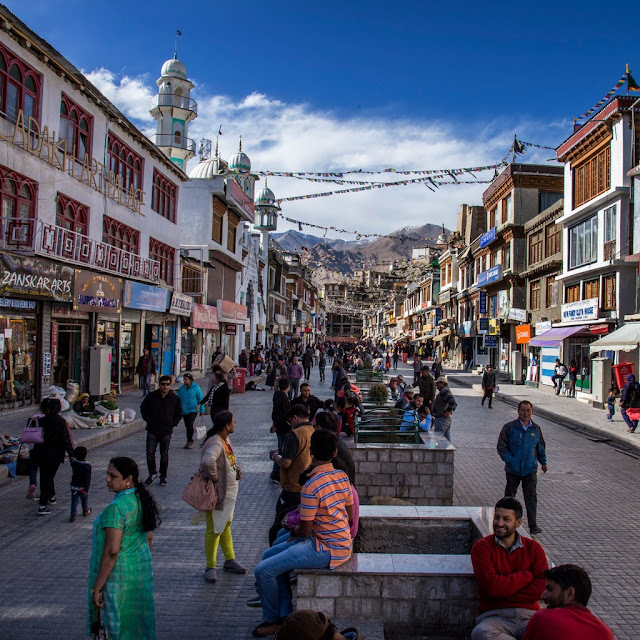 With few choices in Leh's stores, cosmetics and clothing are popular purchases for Amazon customers like Skalzing Dolma. 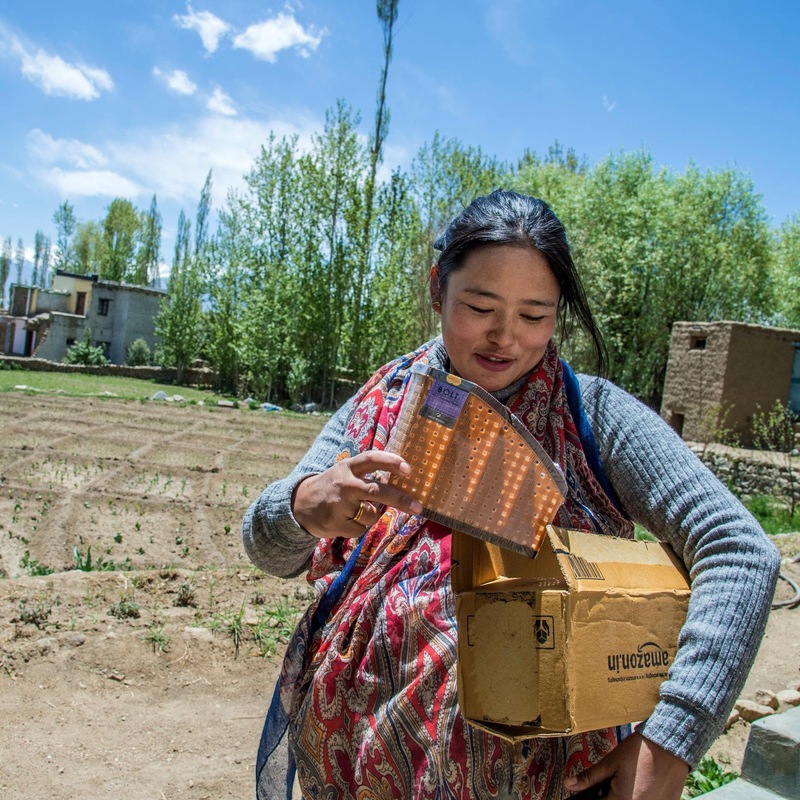 Buying from Amazon spares Rigzin Dolker, who is expecting a baby in July, from having to trek into town. 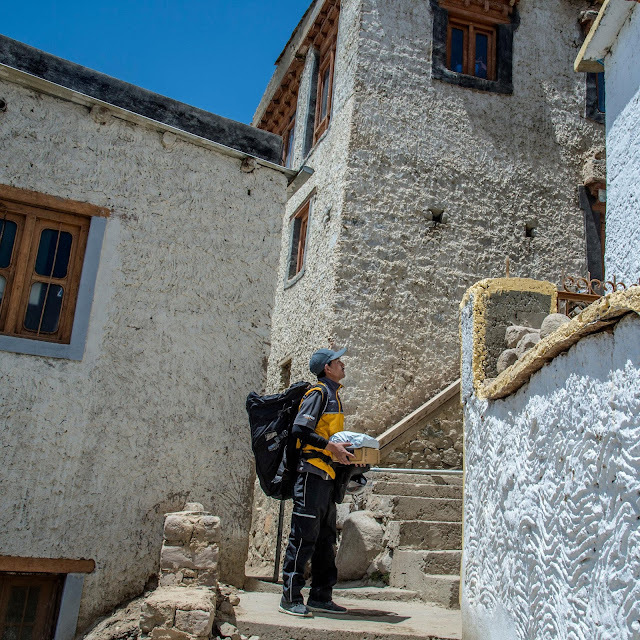 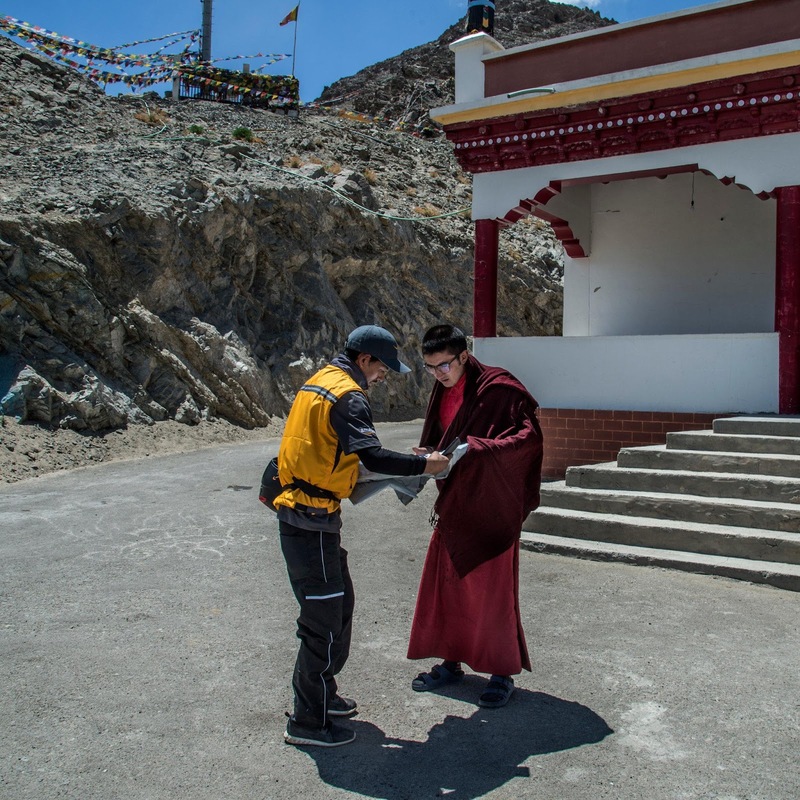 Monks like Thinley Odzer at the Kartse Monastery, as well as local soldiers, are big Amazon customers. 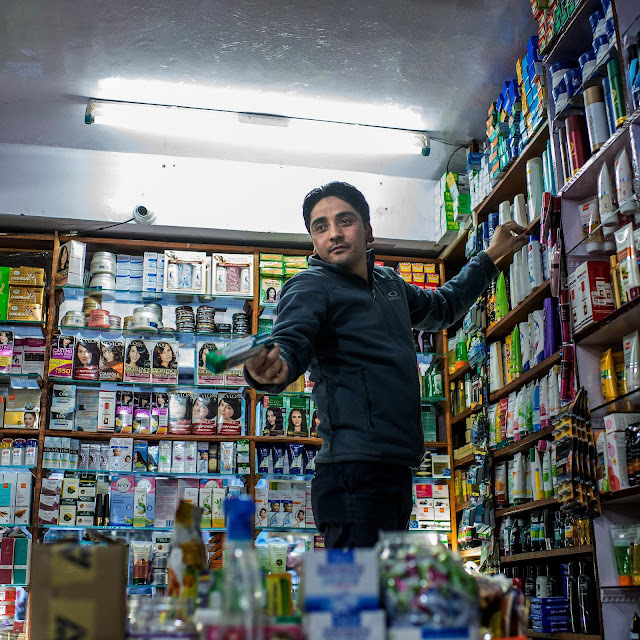 Liyaqat Ali, who owns a general store in Leh, said there was still a demand for groceries and other items that customers didn't want to wait for.